As Tanzania’s Diamond Platnumz, Ethiopia’s Betty G, Nigeria’s Simi and South Africa’s Nasty C join the AFRIMA Nominees top contenders. Democratic Republic of Congo-born international recording artiste and rapper, Maître Gimsand South Africa’s fast rising songstress and songwriter, Shekhinah, have received seven nominations each to emerge highest nominated artistes for the 5th edition of the All Africa Music Awards, AFRIMA. Closely following the top contenders are Tanzania’s Diamond Platnumz and Ethiopia’s Betty G who each earned six nominations; while Simi (Nigeria) and Nasty C (South Africa) got on the 5th AFRIMA nominees list with five nominations apiece. 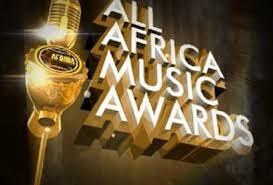 In its position as the biggest awards event on the continent, AFRIMA rewards the continent’s music professionals in 36 Regional and Continental categories including four new awards categories namely African DJ of the Year; Best African Dance/Choreography; African Lyricist/Rapper of the Year and Best African Act in Diaspora, introduced in June 2018 by the African Union and the International Committee of AFRIMA to give room for expansion and inclusiveness in the African music industry. 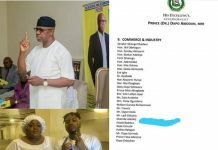 The Regional Category, which consists of Best Female artistes and Best Male artistes in the five regions of Africa, features 79 nominees while the Continental Category which honours exceptional work in different African music genres, boasts of 260 nominees with both categories making up a total number of 339 music professionals and songs nominated for the 2018 edition of the continental awards. This year, through the 8,009 entries submitted by African music professionals across the globe and the painstaking work of the International Jury of AFRIMA embodied by 13 renowned African music and culture professionals assessing the submitted entries, the 5th AFRIMA Nominees List has remained true to the AFRIMA tradition of discovering authentically fresh African voices and music while also recognising the hard work and diligence of consistent chart topping music makers. We are convinced that these new artists with unique capabilities are stamping their mark in the various genres. They are and will definitely continue giving the established musicians a run for their money”, the veteran music producer from Kenya concluded. Leading the nomination pack, Maître Gims’ has received nods for Album of the Year (for his March 2018 released ‘Ceinture Noire’ album); Artiste of the Year, Best Artiste in African Pop, Song of the Year, Song Writer of the Year, Best African Collaboration and Best Male Artiste in Central Africa. Similarly, Shekhinah’s seven nominations also gave her a slot each in the Album of the Year category and Producer of the Year (for her October 2017 released ‘Rose Gold’ album); these are as well as Song Writer of the Year; Best African Dance/Choreography; Best Artiste in African RnB & Soul; Revelation of the African Continent; Producer of the Year; and Best Female Artiste in Southern Africa. Diamond Platinumz gets an Album of the Year nomination for his 2017 compilation titled ‘A boy from Tandale’, in addition are his nominations for Artiste of the Year; Best Artiste in African Contemporary; Best Artiste in African Reggae, Ragga & Dancehall; Song Writer of the Year and Best Male Artiste in Eastern Africa. Betty G, Ethiopia’s jazz artiste, is amongst the top nominees with six nominations including, Album of the Year (for Wegegta, June 2018); Artiste of the Year; Best Artiste in African Jazz; Best Artiste in African Rock; Revelation of the African Continent and Best Female Artiste in Eastern Africa. 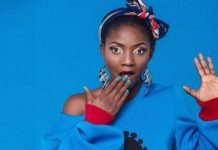 Nigeria’s Simi has earned five nominations namely: Album of the Year (For Simisola’released in September 2018), Artiste of the Year, Song Writer of the Year, Best Artiste in African Pop, and Best Female Artiste in Western Africa. South Africa’s rap artiste Nasty C received five nominations from the categories of Artiste of the Year, Song of the Year, Best African Collaboration for his song featuring the Nigerian artiste, Runtown, Best Male Artiste in Southern Africa, and the Best African Lyricist/Rapper of the Year. 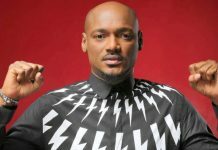 Many of the continent’s music chart toppers who are also previous AFRIMA winners and nominees such as Davido (Nigeria); Fally Ipupa (DRC); Tiwa Savage (Nigeria); Cassper Nyovest (South Africa); Wizkid/Starboy (Nigeria); Daphne (Cameroon); Saad Lamjarred (Morocco); Sauti Sol (Kenya); DJ Arafat (Cote d’Ivoire); Charlotte Dipanda (Cameroon); Angelique Kidjo (Benin); DJ Maphorisa (South Africa) and more, have received nominations for the 5th AFRIMA. 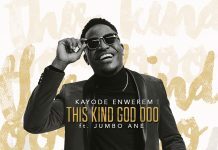 They are joined by AFRIMA nomination debutantes and fresh music faces such as Kuami Eugene (Ghana); Aya Nakamura (Mali); Shane Eagle (South Africa); Betty G (Ethiopia); Rash (Kenya); Afrotronix (Chad); L’Algérino (Algeria); DJ Enimoney (Nigeria); Nadia Nakai (South Africa); Teni (Nigeria) and others. In its fifth year, AFRIMA, is scheduled to hold in late November 2018, other activities scheduled for the main awards events include the Africa Music Business Summit, a combination of musical conference and trade expo where stakeholders in the creative and arts industry come together to discuss the business of music in Africa. There is also the AFRIMA Music Village, a music concert and cultural festival which accommodates over 40,000 music lovers across the continent who will witness live performances from their favourite African artistes. Previous articlePlease Don’t Show a Police Officer 🤣. Next articleTheresa May, Prime Minister of the United Kingdom, says Nigeria is the home of the highest number of poor people in the world.